Shanghai Xuancai Cosmetic Brushes Co., Ltd. 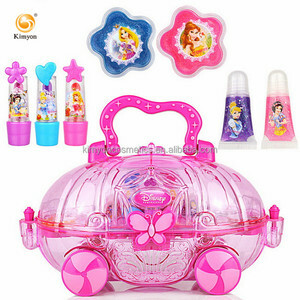 Cosmetic pretend play set girls beautiful makeup toys in portable suitcase Item No. BPJ02522 Description Dresser Suitcase Product Size(cm) 26X23.5X28CM Product Packing Size(cm) 20X24X10CM Packing ON Card Quantity/Carton 36 PCS Carton CBM 0.226 Carton CU. 21.500KGS/17.400KGS Quantity/20'ft Container 5550 PCS Quantity/40'ft Container 10837 PCS Quantity/40'hq Container 12687 PCS Our advantage: 1. We have our own factory. 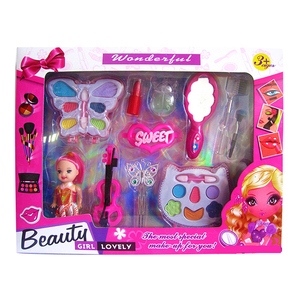 Shantou Yastel Trading Co., Ltd.
Alibaba.com offers 2,235 pretend makeup set products. About 96% of these are other toys & hobbies, 2% are makeup sets, and 1% are makeup brushes. 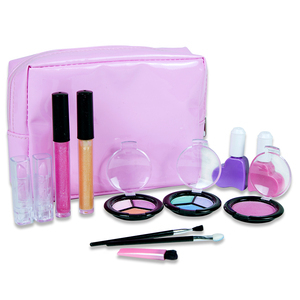 A wide variety of pretend makeup set options are available to you, such as free samples, paid samples. There are 2,237 pretend makeup set suppliers, mainly located in Asia. The top supplying countries are China (Mainland), Ukraine, and United States, which supply 99%, 1%, and 1% of pretend makeup set respectively. 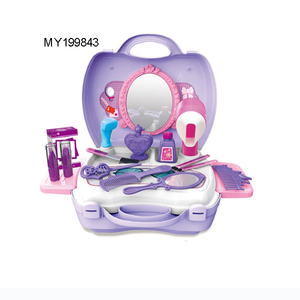 Pretend makeup set products are most popular in Western Europe, North America, and Mid East. You can ensure product safety by selecting from certified suppliers, including 940 with Other, 386 with GMP, and 370 with BSCI certification.